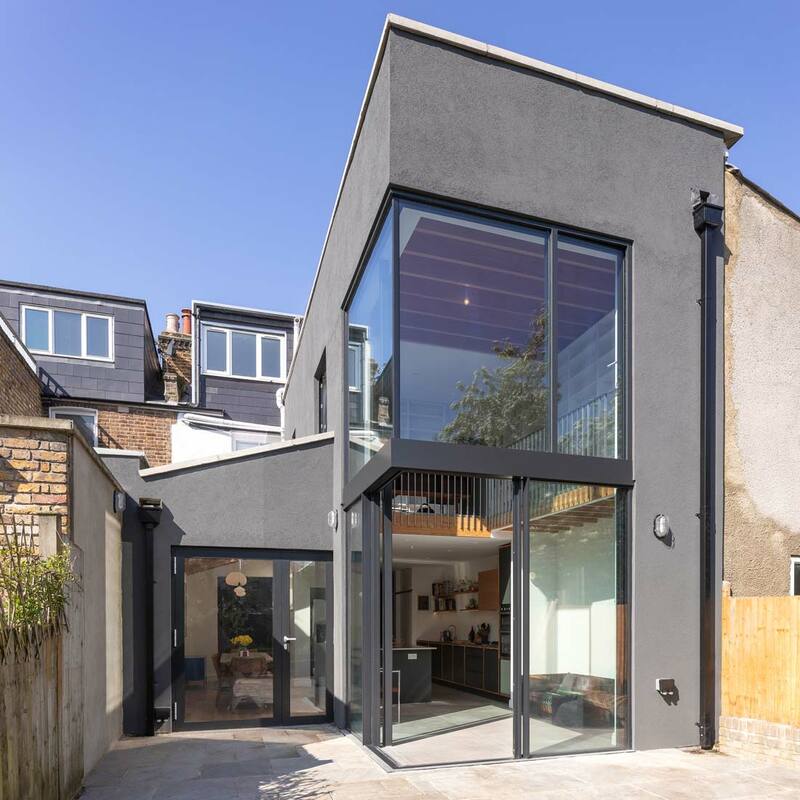 Direct commission for an extension and major renovation of an existing Victorian terraced house, located in a Conservation Area in Peckham. 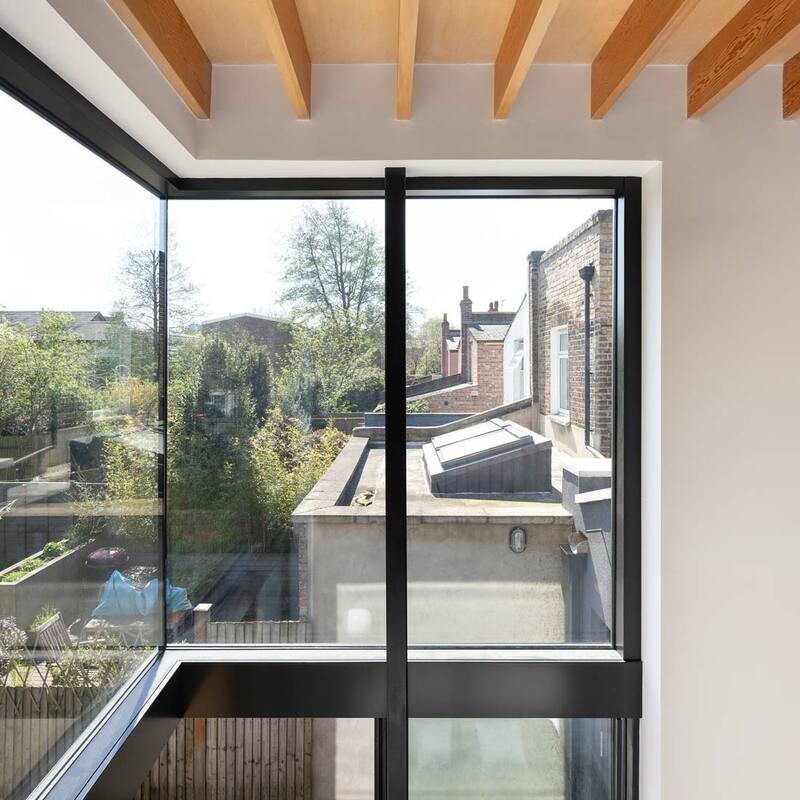 A young family moved in to the house and wanted to make a much stronger connection to the very long garden, which the existing arrangement ignored. 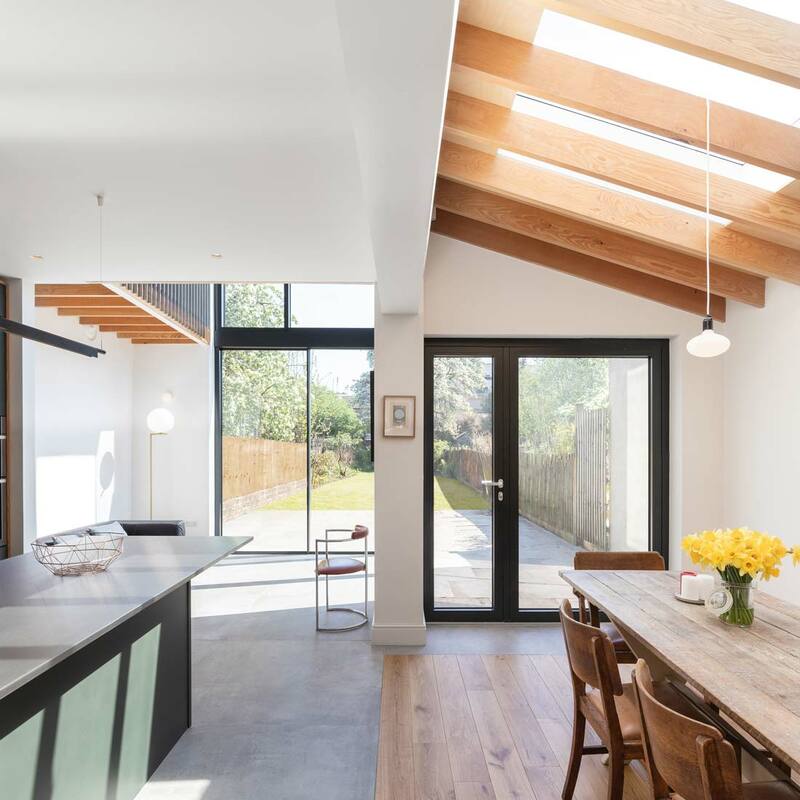 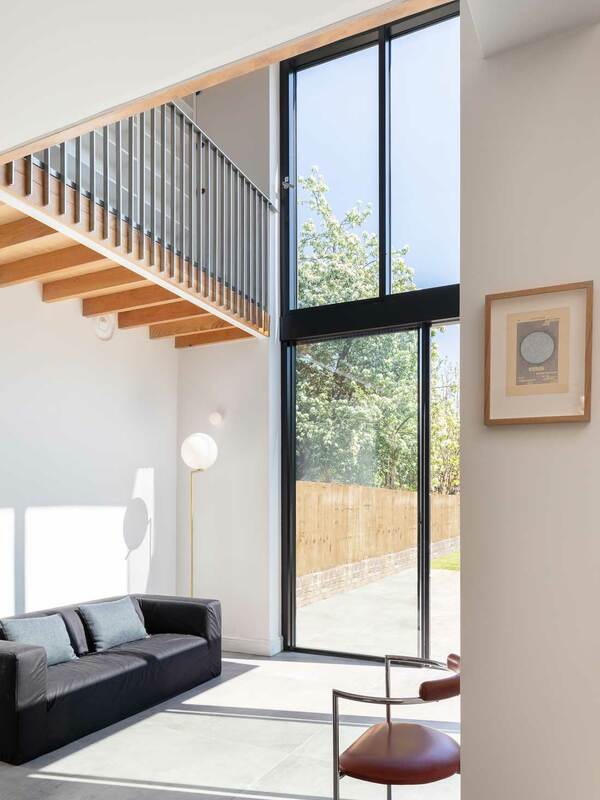 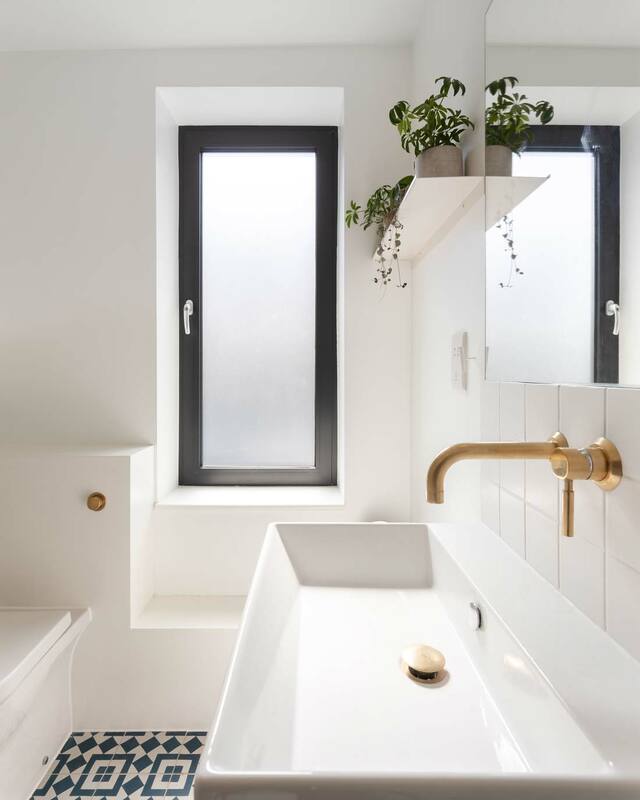 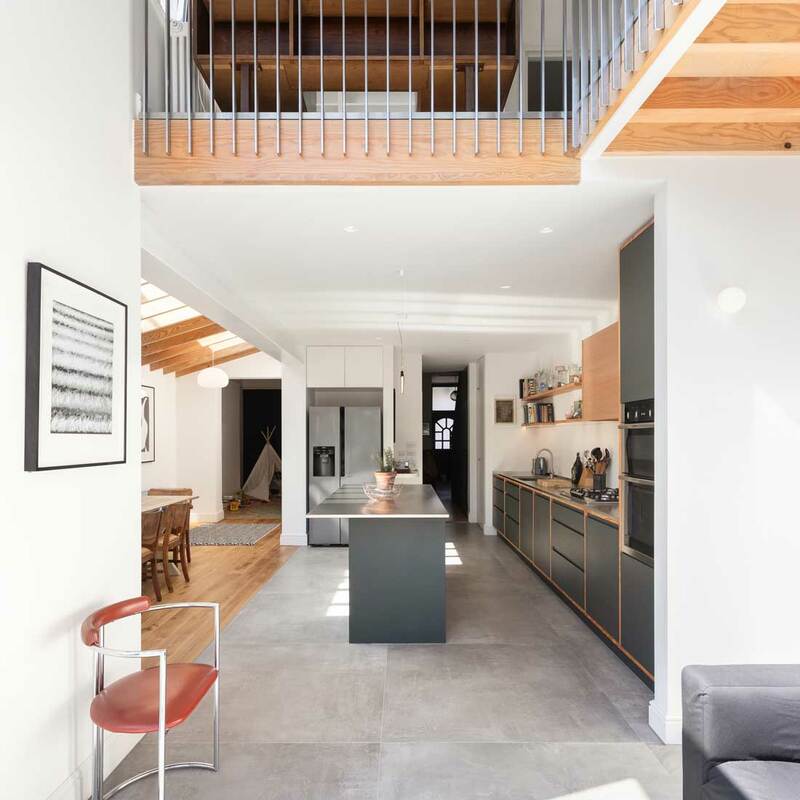 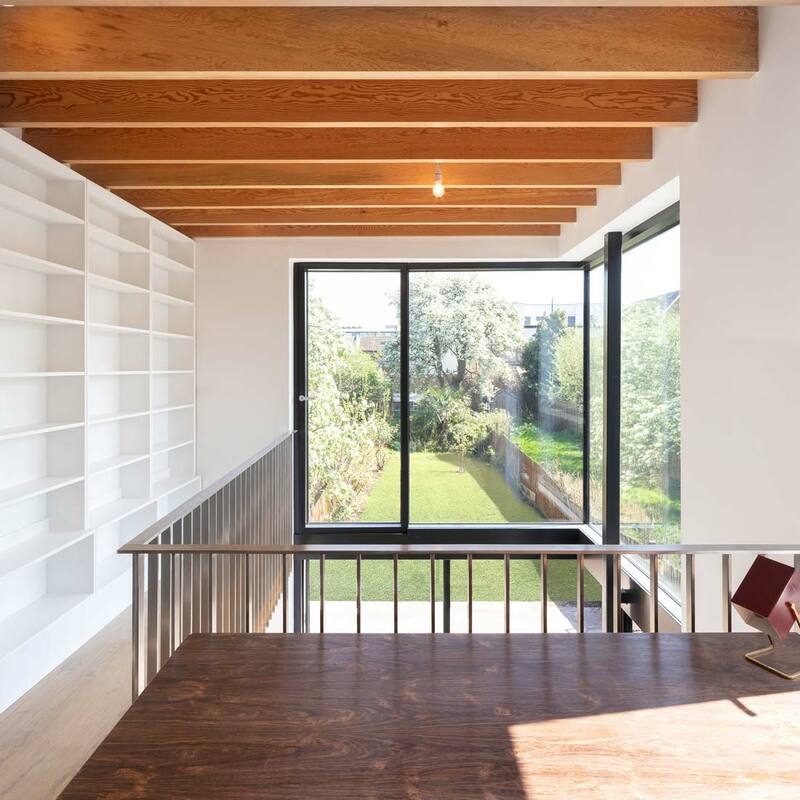 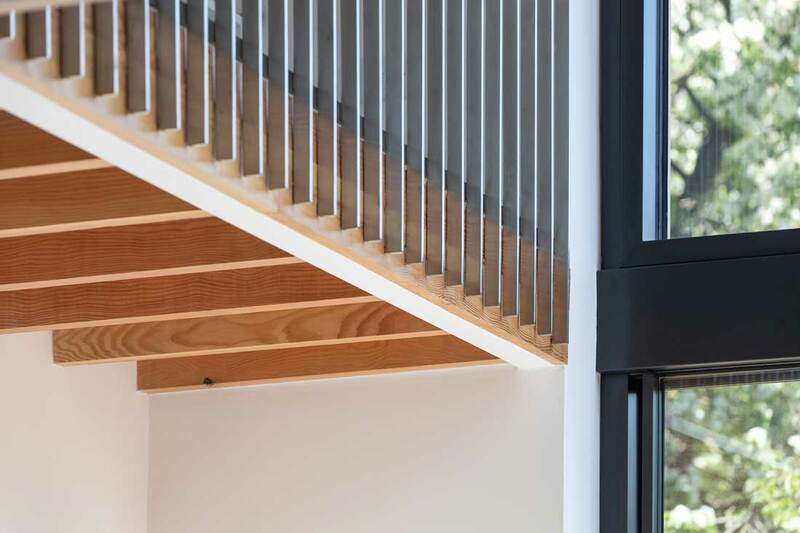 A well-lit new side return extension creates width for new kitchen and dining spaces, and a dramatic fully-glazed double-height garden room links up to a study space upstairs. 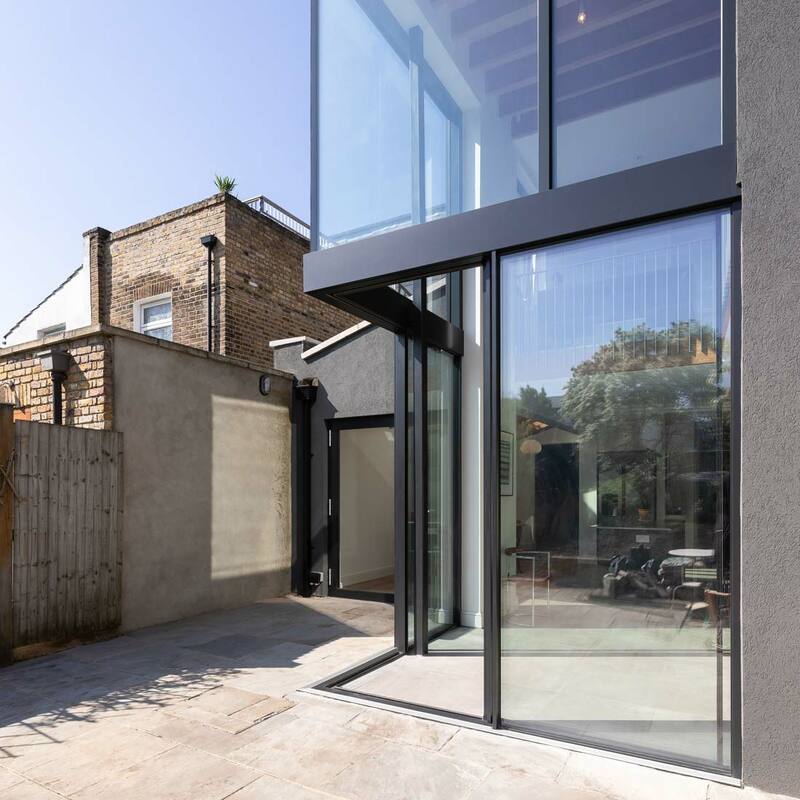 The thin-framed sliding doors open at the corner, leading onto the paved terrace and extensive garden beyond. 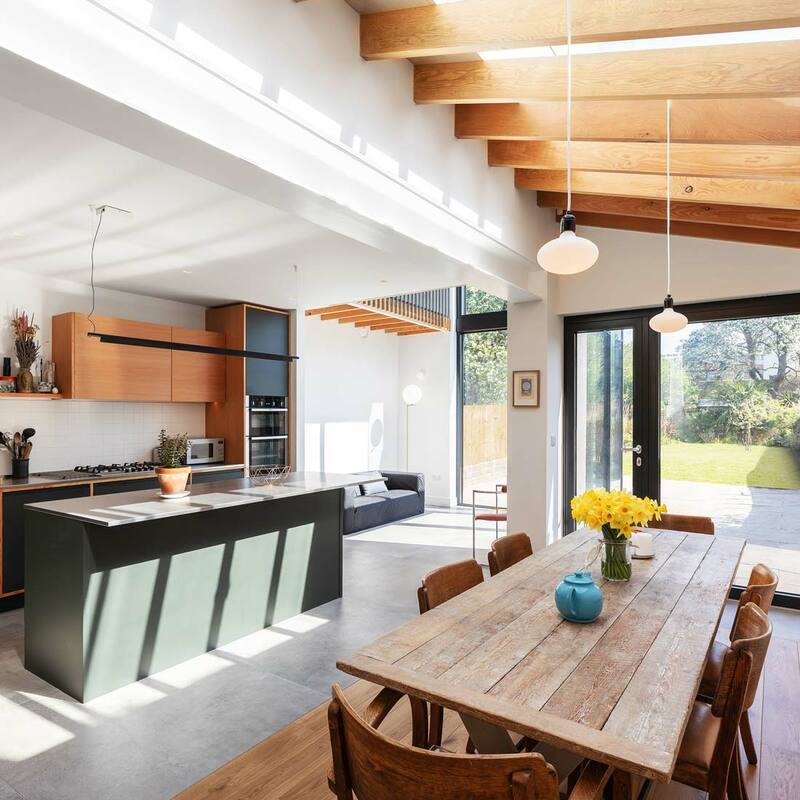 New and replaced areas of ceiling are built with exposed Douglas fir joists, which combine with the kitchen and timber flooring to bring warmth to the space. 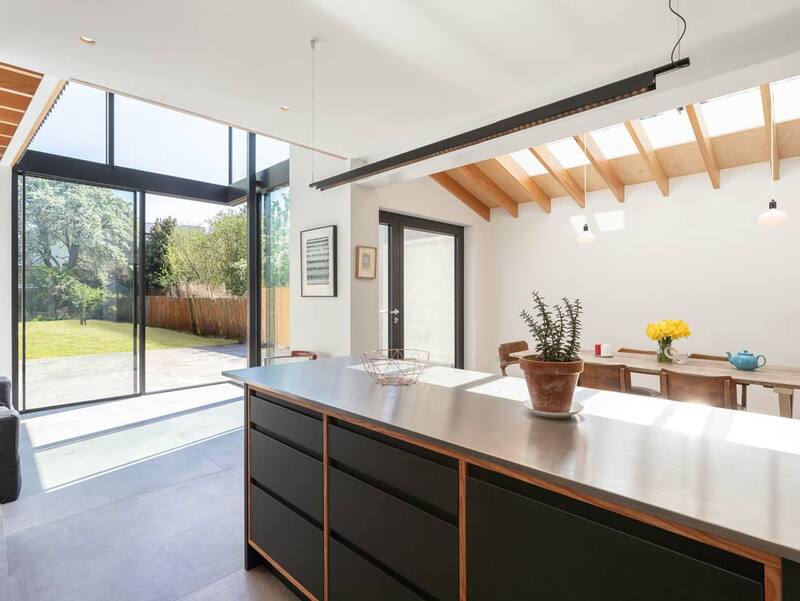 New steel structure was carefully coordinated with the large windows and rooflights so as not to obstruct the corner access and sight lines, and the main beam carrying the floors above is left exposed. 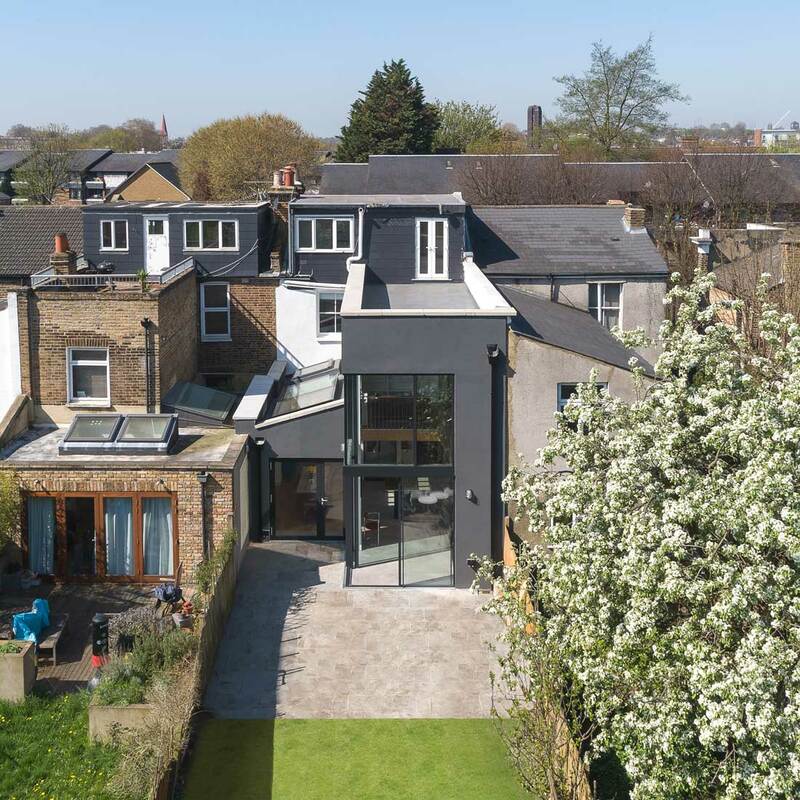 Previously uninsulated external walls of the rear structures are insulated externally, and finished with a rough dark-grey render.